I was first introduced to the idea of oats in a jar by Tina at Carrots n’ Cake. 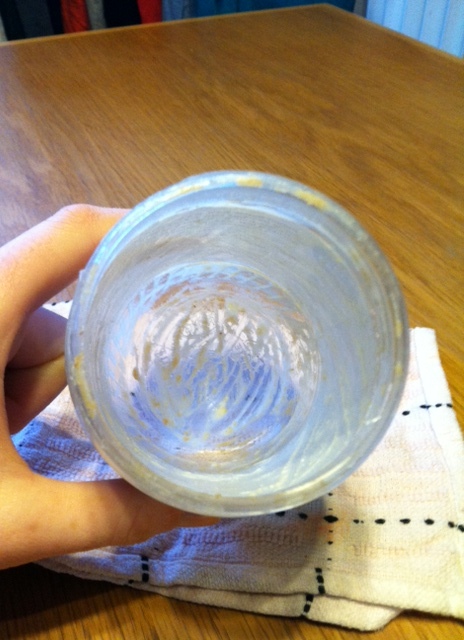 Tina’s version of OIAJ uses cooked oatmeal combined with the last bits of a peanut butter container. The concept of using the peanut butter container as a bowl for breakfast was something that – although I had not previously considered – filled me with great excitement. Primarily because 1) I love peanut butter and 2) I hate wasting the last little bits of deliciousness that are impossible to scrape from the jar. The ‘oats in a jar’ practice solves the problem! top with a couple tablespoons of granola, and enjoy! 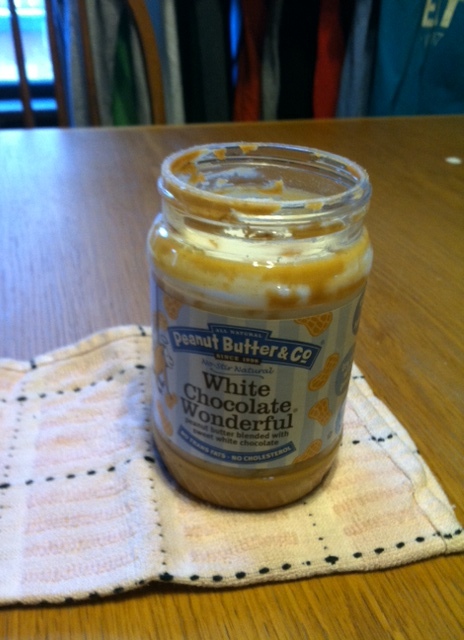 Last night, I made OOIAJ in a White Chocolate Wonderful PB & Co jar. As an aside, if you haven’t tried any of the PB & Co. varieties, GO TO WHOLE FOODS NOW AND BUY ONE! They are unbelievably delicious. But with flavors like chocolate dream, cinnamon raisin, and white chocolate wonderful, what else can you really expect?! I think I’m going to try this recipe. Sounds simple and delicious. Love the photos.